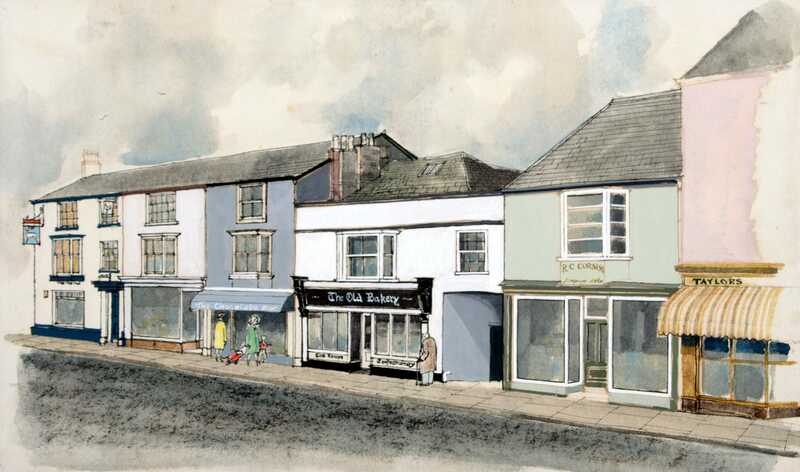 Visitors to Chudleigh’s Town Hall can view a collection of ten watercolour illustrations on public display in the Rest Centre, depicting a proposed decoration scheme for houses and shop fronts in Fore Street, Chudleigh. 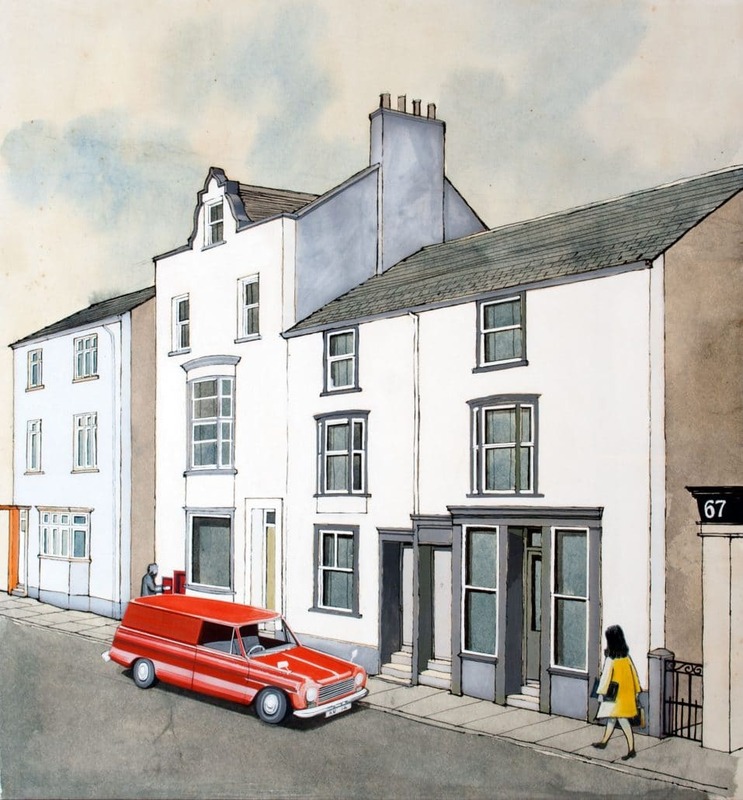 We do not have an accurate date for the illustrations, however, we believe that they were created in the mid 1970s on behalf of Chudleigh Amenity Society. 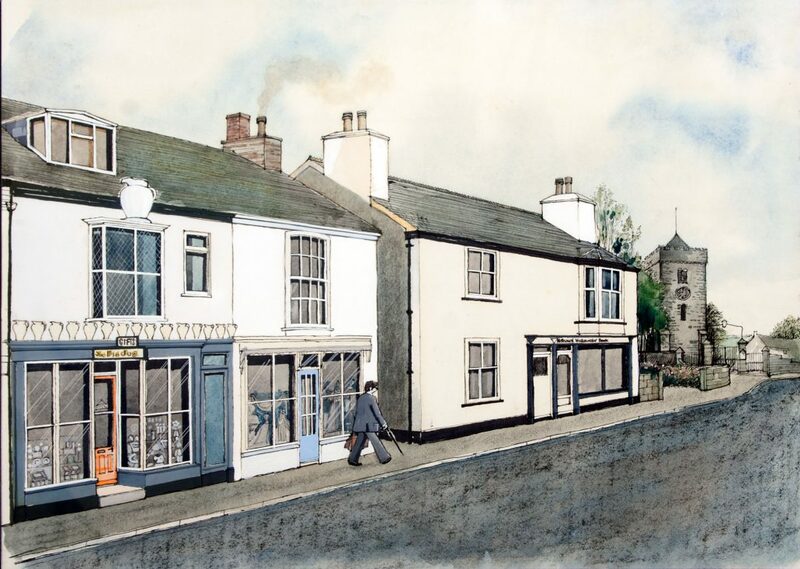 They provide a delightful ‘snapshot’ of Chudleigh’s main street as it appeared over 40 years ago. 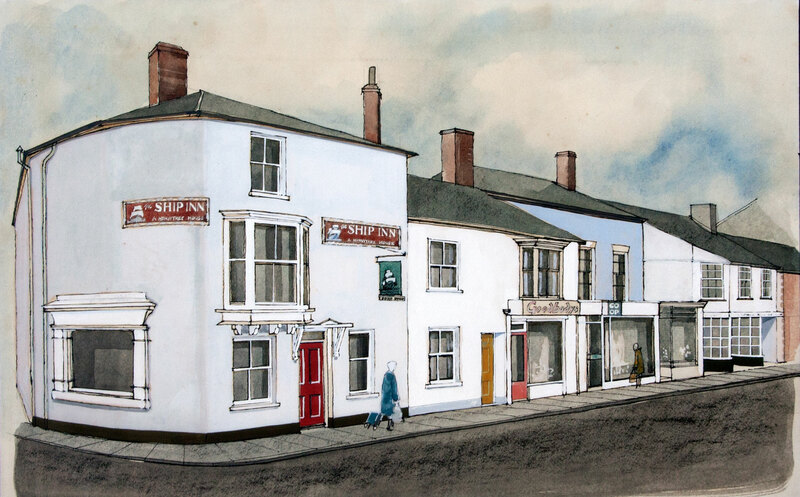 No.1 The Ship Inn; Goodbody’s Bread Shop; and adjacent house no.2; Co-op and adjoining shop no.3. No.2 No.7 Shop – Donald Stevens (Footwear). This shop was in business for 39 years, and sold all types of footwear including wellingtons, plimsoles and brogues. No.3 No.12 Gregories Florist; J. Shears & Sons; Saunders; houses no’s 23 & 24. 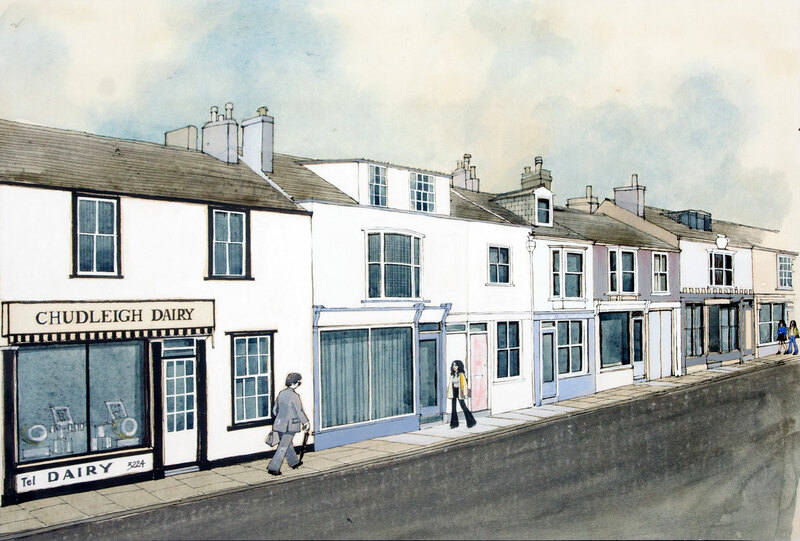 No.4 No.26 Chudleigh Dairy; no.27 Shop & House; no.28 House; no.29 Hodge – Hairdressers; no.30 Baby Linen Shop. No.5 No.31 The Big Jug; no.32 Ladies Outfitters; National Westminster Bank; and Fairholme. No.6 No.63 Elmore House; Post Office, no.65, and no.66. 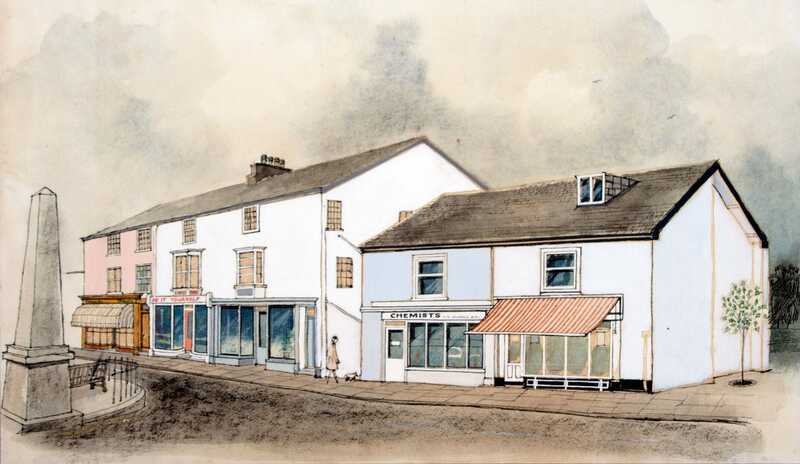 No.7 Portland Cafe; Sweete Fayre; no.70 Dwelling House; no.71 Lloyds Bank Ltd; no.72 Dwelling House. 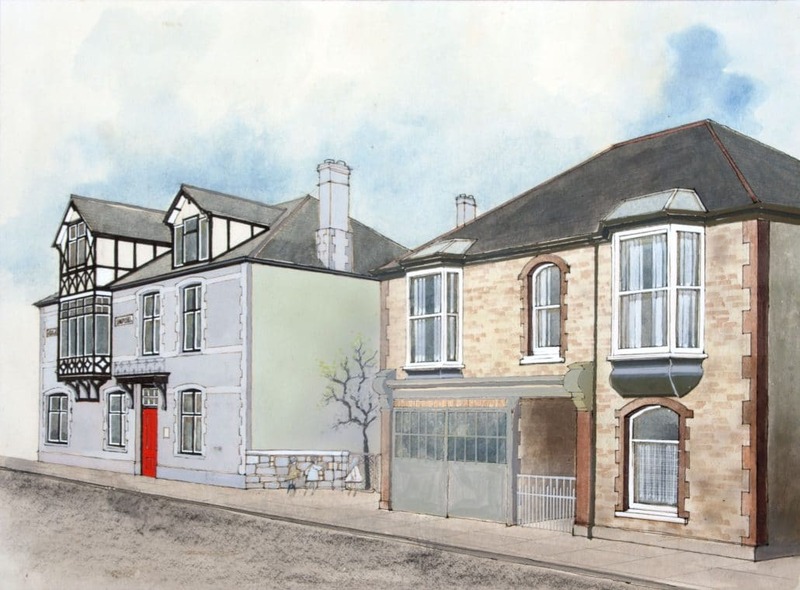 No.8 The Globe Hotel; no.77 and no.78 Fore Street. 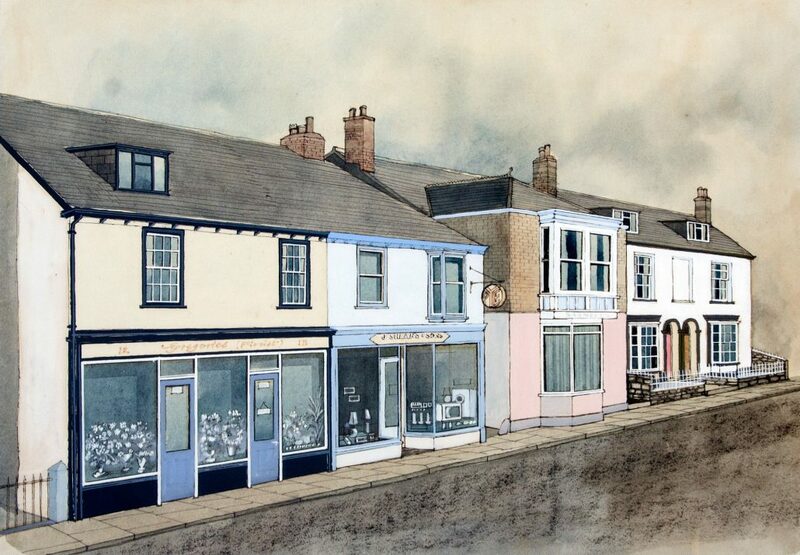 No.9 No.79 The White Hart Hotel; no.80, and no.81 The Chocolate Box; no.82 The Old Bakery; no.87 R.C. Cornish; no.88 Taylor’s. 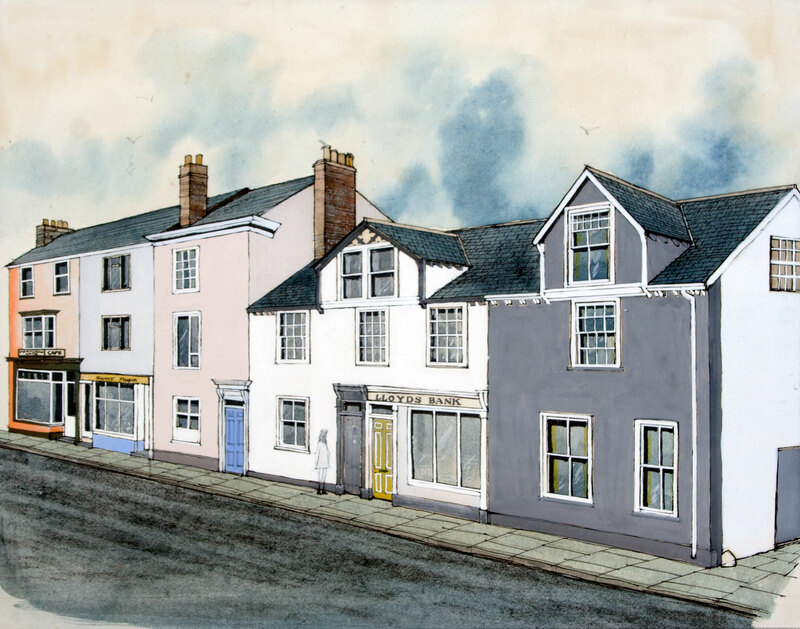 Town Decoration Scheme, Chudleigh Amenity Society. No.10 Chudleigh War Memorial (foreground); no.88 Taylor’s; no.89, Chudleigh DIY; no.90, and no.91 Chemists. 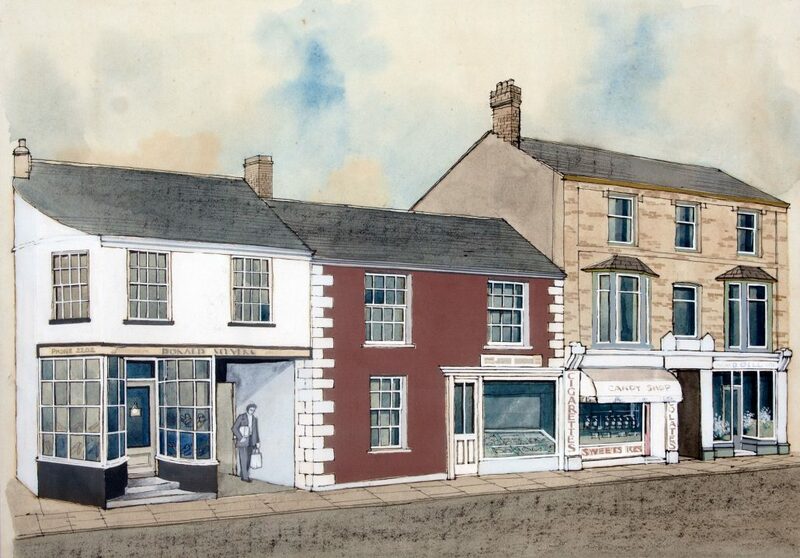 Town Decoration Scheme, Chudleigh Amenity Society.